We are engaged in manufacturing and supplying Magnetic Separators. Following international standards and norms, these separators are manufactured using superior quality raw material and advanced machines. Owing to their features such as high performance and reliability, these separators are widely demanded and appreciated by the clients. The range offered by us includes Online Magnetic Filters, Inline Separators, Roll Magnetic Separators, Magnetic Separators and Overband Magnetic Separator / Suspended Magnetic, to name a few. 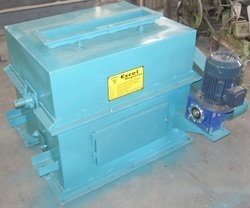 We are one of the prominent manufacturers and suppliers of a wide range of magnetic destoner. The roll are manufactured using high coercivity modern anisotropic and permanent magnets. 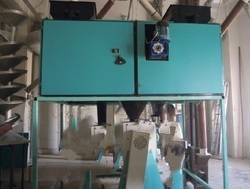 Clients can avail these separators in different configurations and sizes as per their requirements. 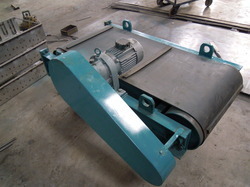 We are a well-known firm engaged in manufacturing and supplying In-line Magnetic Separator. At our end, these products are manufactured using ultramodern machines and instruments. 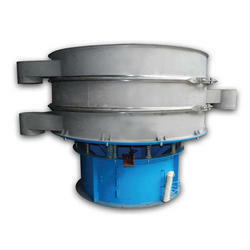 These products are provided with a hollow rotating cylindrical drum, that rotates to extract the magnetic particles. To ensure the flawlessness of the product, these are stringently examined on varied grounds, post-production. 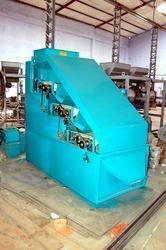 We are also engaged in manufacturing and supplying a wide range of Magnetic Separators. These separators are manufactured using a powerful ceramic magnet with strong coercive. This ensures high levels of purity during the process of separation. 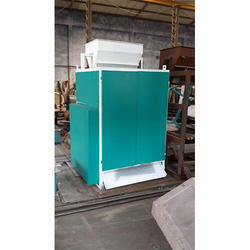 Owing to our expertise in this domain, we have been able to provide the customers with a comprehensive assortment of Wet Drum Magnetic Separator. Our range is widely used for removing fine magnetic components from liquids of low viscosity & concentration. Further, the range is used for varied metal processing industries for treating pre-concentrated extracts from high gradient magnetic filters. Moreover, for improved efficiency, the range is incorporated with varied features such as powerful neodymium iron boron magnets and stainless steel housing. The liquid flows through a semi-circular separating chamber beneath a stainless steel drum to which the magnetizable particles are attracted. The strong, high-gradient magnetic field is created by a cylinder consisting of permanent magnetic discs positioned within the drum. These special permanent magnets generate particularly high field gradients which are necessary for successful separation, as is the need with all Magnetic-Separators. 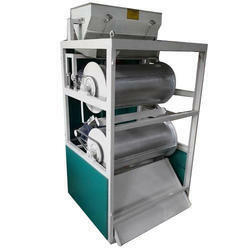 We are a coveted firm engaged in offering Pipe Line Magnetic Separator the-the valuable clients. Our professionals design these separators to extract tramp iron pieces from the different material during the conveying process to prevent damages. Installed with high coercively permanent magnets, these products are easy to install and enable excellent removal of unwanted contaminants. We offer these magnetic separators in different specifications to meet the different demands of the clients. We are instrumental in offering high grade Over Band Magnetic Separator. These products are designed with rollers that are attached to a conveying belt. The separator continuously rotates to offer excellent removal of the tramp iron and other ferrous contaminants using highly effective magnets. 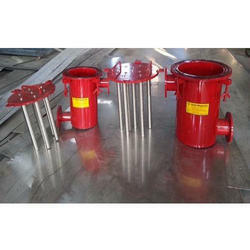 Easy to install, the magnetic poles of the separators are provided with a non-magnetic stainless steel plate covering. In order to cater to the diversified demands of the customers, we are engaged in bringing forth a comprehensive assortment of Multi-Stage Drum Separators. Specifically demanded high purifying applications, the range can be availed in variable diameters of 300 mm to 1200 mm and width from 300 mm-2500 mm. 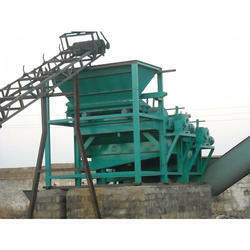 We are engaged in offering Vibro Separator to our clients. These are a kind of vibrating type vertical motors. These are made dust free and requires low maintenance. These are used in oil refining industries. The product is available with us at an affordable price. These motors work with noiseless processing. We use high-intensity rare earth neodymium iron boron magnets assembled in a proprietary configuration to generate unsurpassed magnetic field gradients. This high-intensity magnetic field, weakly magnetic contaminants can be easily removed efficiently. A ferrite based permanent magnetic roll assembly of lower strength is also available for some applications. Glass raw material cleaning, Silica sand, Quartz, Feldspar, Dolomite, etc. Synthetic Graphite, Graphite upgrading. Abrasive, Refractory & Ceramic raw material beneficiation, Alumina, Silicon carbide, Magnetite Quartz, magnetite etc. Selective separation of garnet/ ilmenite, rutile / zircon.